While it is an aggressive procedure, many people believe that it’s worth it because it’s much more secure than other forms of cosmetic dentistry since the implants look much more natural and feel better than other types of bridges and dentures. If you’re thinking about getting dental implants, you’ll need to talk to your dentist first, and do some research to determine whether the procedure is right for you. There are many people who have benefitted from dental implants. They’re a great, natural-looking replacement for teeth that either never grew in or were removed due to injury or infection. If you were born without a certain tooth or you’ve had one removed, the empty space in your mouth can lead to jawbone deterioration over time, which is a process that’s impossible to reverse. 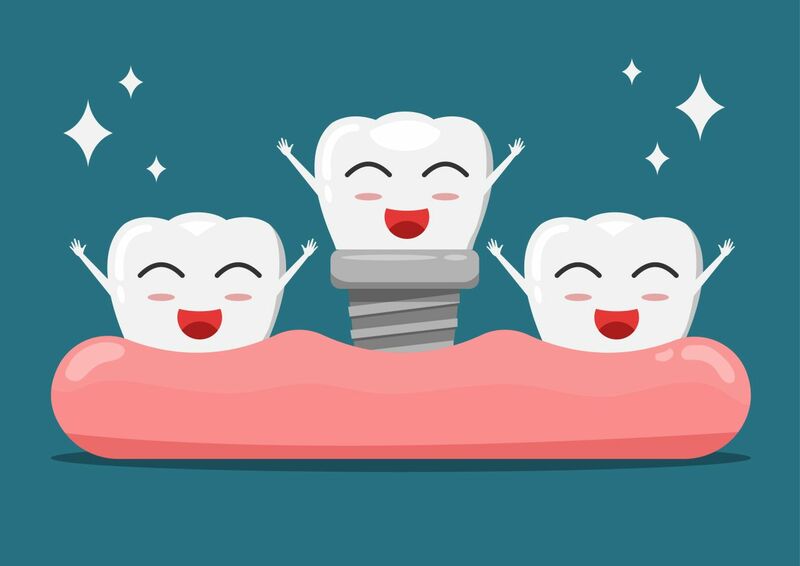 While it may seem like getting a bridge or a crown is easier than doing dental implants, that process can actually damage the teeth surrounding the implantation site. A dental implant can help prevent bone loss and will ensure that the surrounding teeth remain undamaged. If you’re self-conscious about a missing tooth and want to ensure that your smile shines bright for a long time, a dental implant can definitely be the right option for you. There are many positive aspects about choosing to get a dental implant. Once they’ve healed completely, they look and feel exactly like normal, healthy looking teeth, which is a big deal for people who have felt self-conscious about the gaps in their teeth in the past. They also ensure that your face remains in the same shape. A loss of teeth can lead to major changes not just in the look of your mouth, but also in the shape of your cheeks and jawline. Dental implants require careful maintenance, and regular visits to your dentist to see that the implants are holding well, but the extra time in the bathroom brushing and flossing each morning is worth it. Easy, seamless dental implants ensure that you’ll be able to eat with ease. If you’re used to living with broken or missing teeth, and avoiding certain foods like corn on the cob, steak, and apples, it can be a real joy to be able to eat all the things that you’ve been missing once again. Unlike dentures, dental implants will never slip, and since they’re attached right into your jawline, they won’t break or move if you bite into something hard or chewy. The experience of having your dentures fall out or slip in public can be embarrassing, but it’s something that can be avoided all together by choosing dental implants. Other cosmetic dental options like bridges require that the neighboring teeth support the weight of the imitation tooth, which often involves grinding down teeth on either side to give the bridge something to attach on to. One of the most positive aspects about getting dental implants is that they actually stop damage to your neighboring teeth from occurring. Your dentist does not need to do anything to your neighboring teeth during the installation of the implant, because the prosthetic piece is supported by your jawbone. The longer you leave empty spaces in your mouth, the more bacteria can get in, which leads to health issues like jawbone deterioration and periodontal disease. One of the major deterrents that stops people from investing in dental implants for themselves is the cost. A single tooth implant can cost upwards of $7,500, which covers the cost of the materials, building a prosthetic that fits and matches the rest of your teeth, and the installation, upkeep, and maintenance. A good dental implant should last a lifetime. Going to a cut-rate dentist who only charges you $2,000 means that you aren’t getting the benefit of the extensive experience that someone who is more expensive will have. If an implant is positioned incorrectly, fixing it will be a painful, expensive experience. Most of the time, dental implants are not covered by insurance, but in the last 10 years there have been more companies whose insurance policies cover this procedure. The process of getting dental implants can often take months, depending on the severity of the damage to your teeth and jaw, as well as your dentist’s availability. The process starts with a consultation, where your dentist will examine your mouth, and take x-rays which will help them develop a plan of care. The next step is placing the dental implant in your jaw. It can be uncomfortable, but many people find that the swelling and bruising from the operation fades quickly. Then, you’ll spend several months waiting for the implant to fuse with your jawbone, which is referred to as osseointegration. Then, your dentist will custom make and attach your new teeth to the implant with a connector called an abutment. 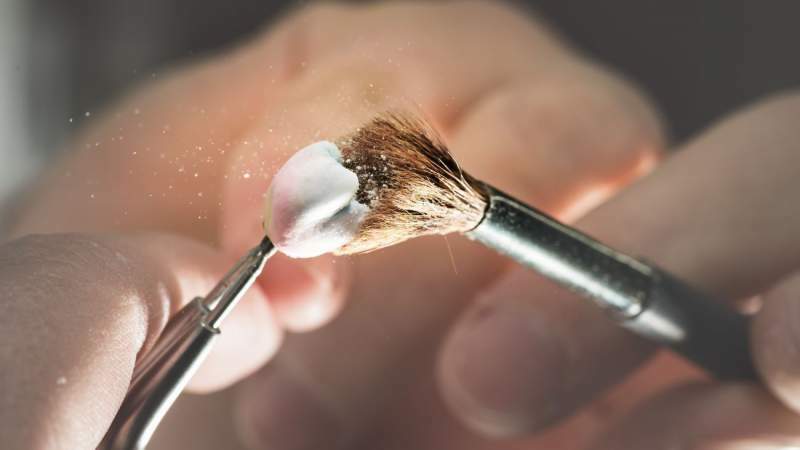 Most dentists will ask you to come in at least once after the final attachment of your prosthetics, so they can see how you’re healing. This process usually takes between four to five appointments, spread out over six months to a year. In order to ensure the continued health of your dental implants, you’ll need to take extremely good care of all your teeth by brushing and flossing daily. Implants act like natural teeth, which means that they can be affected by periodontal disease and normal wear and tear. The porcelain on crowns may discolor or need repairs. Most dentists say this can be expected every 10 years after they’re first installed. In some cases, implantation failure can occur, but it’s rare when the patient is able to care for their implants carefully. If you’ve been living with a missing tooth or are worried about the integrity of your remaining teeth, you’ve probably already done some thinking about dental implants. There are many different types, depending on your needs, so consult your dentist today to see which option is right for you.